Learn to sew crochet pieces to backgrounds with my how-to video and steps below! Step 1: Before sewing crochet pieces to the background, I recommend that you block or steam press the pieces to be appliquéd and the background that the pieces will be appliquéd to. Step 2: Plan out where the pieces are going to go on the background. Use large safety pin’s to temporarily hold the appliqués in place on the background. Step 3: Use yarn that matches the outside edge of the appliqué. Cut a piece of yarn long enough to go around your appliqué a couple of times. 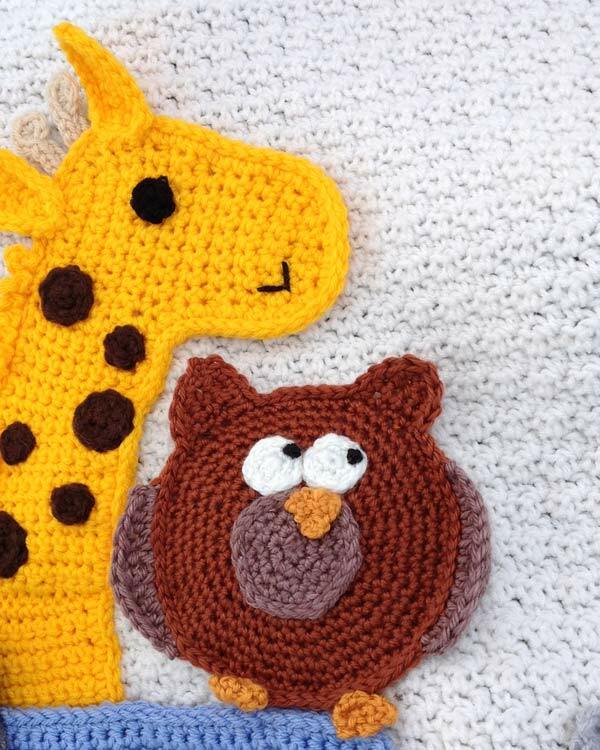 If it’s a larger appliqué you will have to use more than one long strand of yarn. Step 4: Thread yarn onto a yarn needle. Step 5: Secure the yarn end at the back of the piece. Step 6: Sew around the outside edge of the appliqué making sure that the stitches are small enough so that they do not show on the right side of your work. If the appliqué is larger than about 4 inches wide you may want to add a stitch in the center. Make sure that your stitches are very secure so that when you wash your piece the appliqués won’t fall off. There is nothing worse than going through all of that hard work and then seeing your work fall apart. Ask me how I know that!!! 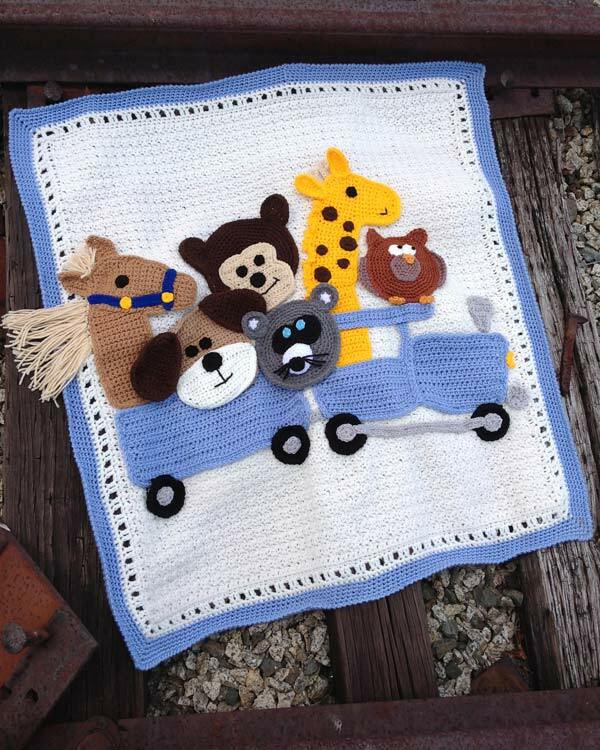 Click here to see my new Critter Caboose Afghan crochet pattern! 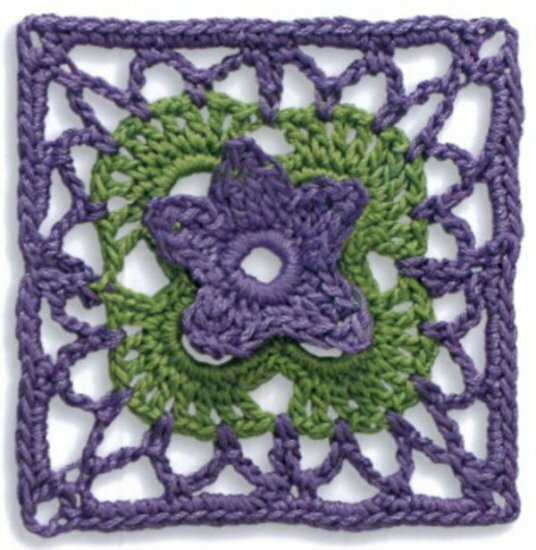 This lesson features my new crochet pattern, Critter Caboose Afghan Crochet Pattern PB157, which is now available for mail or download. 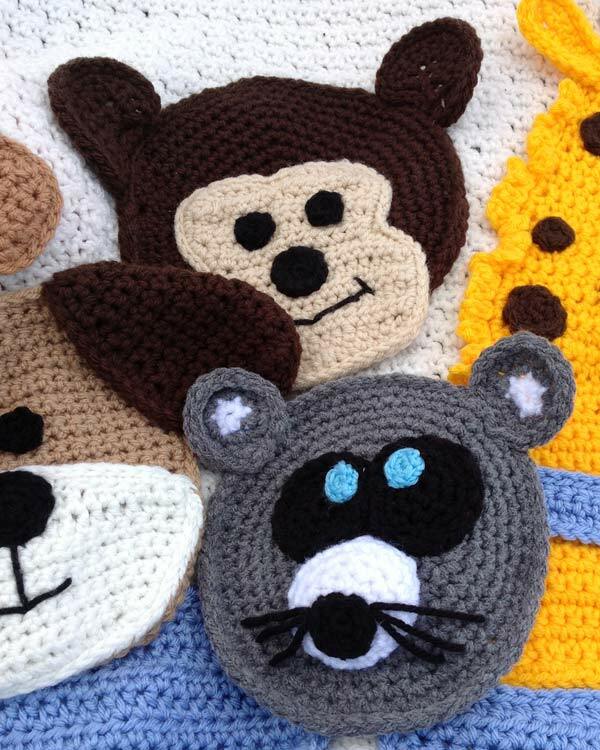 do yo have instruction on how to make a bear head for blanket. Ty Wendy. Hi Wendy, you might try this video lesson I found on Youtube: https://www.youtube.com/watch?v=foTcPkaD9QA. 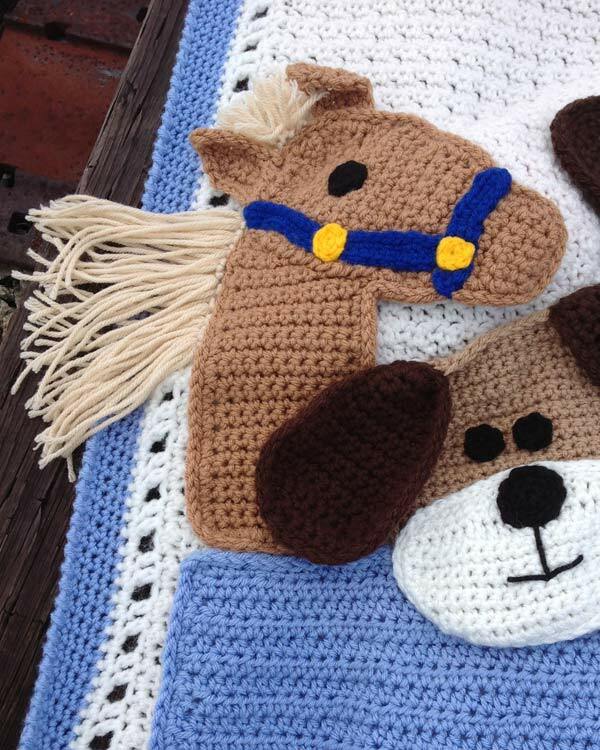 This is the only horse afghan pattern we have, and the horse is not available separately.